In our previous post, we did some source code housekeeping -- just in time for the holidays. But once users have landed on your site, how can you make sure they’ll know how to get around? As it turns out, easily accessible content on your site can make a big difference. Users tend to have a better experience when a site helps them find and understand its content. Having an accessible site not only empowers users, it also helps search engines understand what your site is really about. Help users avoid confusion by providing them with intuitive navigation, so that when they arrive at your site, they’ll know where to click to find the information they’re looking for. Navigational menu: Having a menu with links to the site’s most important pages is the fastest, easiest way to show users where to click next. Text-based links: While drop-down menus, image-based links, and animation-based links can be appealing, keep in mind that users on text-only devices and some search engines may not be able to see or understand these links. Thus, many users prefer text-based links, which are also easier for search engines to crawl and interpret. 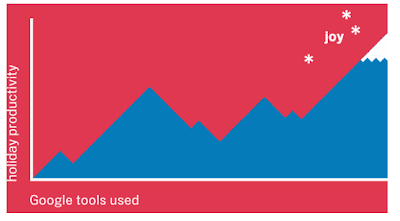 User-viewable site map: 59% of our submissions did not have a user-viewable site map. By providing one, you display the structure of your site and give the user easy one-click navigation. If users are having trouble finding specific pages on your site, a site map can help them find their way. Don’t send your users into the wild without a map! 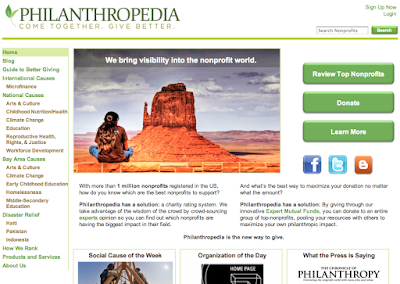 Let’s explore how these features can make a site’s navigation more intuitive by looking at one of our submitted sites, Philanthropedia. Thanks to this site’s clean navigational menu, users can find all of the site’s important pages within a few clicks. Wherever users end up on the site, they can always click on the “Home” button to return to the main page, or on any of the links in the menu to return to the site’s important subpages. Like all of the links on this site, the links in the navigational menu are text-based links, which make it easier for both search engines and users to access the site’s content. 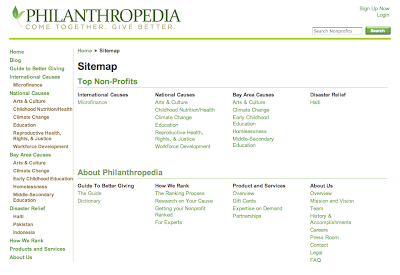 Finally, Philanthropedia has included a user-viewable site map, shown below, in case visitors are looking for a specific page not listed in the main menu. Anchor text -- the clickable text of a link -- can help users quickly decide which links they want to click on and find out more about. Meaningful anchor text makes it easier for users to navigate around your site and also helps search engines understand what the link’s destination page is about. Be descriptive: Use words that are relevant to the destination page, avoiding generic phrases like “click here” or “article.” Make sure the user can get a snapshot of the destination page’s overall content and functionality by reading the anchor text. Keep it concise: Anchor text that contains a few words or a short phrase is more attractive and convenient for users to read than a sentence or paragraph-long link. Outdoor School Active verb phrases and rich nouns accurately describe the pages that the links are pointing to. High: Users can get an accurate idea of the content on the links’ destination pages just by reading the anchor text. here Generic phrases give little insight into the pages that the links are pointing to. Low: The anchor text is too generic and does not give users an idea of what the linked-to content is. You can learn more about anchor text and internal linking strategies by checking out this blog post on the importance of link architecture. Each page on your site is different, so flaunt your site’s diversity by giving a unique title to each page. Giving each page a unique title lets search engines know how that page is distinct from others within your site. In our analysis, over 28% of sites could have improved their site quality by adding unique page titles. Concise, rich language joined with the organization’s name accurately describes the corresponding pages. The titles show how each page is unique while also acknowledging that they are all associated with one organization. High: Each page’s content is relevant to its title, and the user can get a good idea of each page’s unique offerings and functionality. MHCD Evaluation and Research MHCD Evaluation and Research This page title is too general and does not accurately describe the content on each page. The same title is used across all the pages on this site. Low: This site contains a lot of diverse content and rich functionality; however, the uniform page titles do not convey these strengths. We hope that this blog post has given you some ideas on how to ring in the new year with improved content accessibility, which can boost the user experience and online presence for your site. To learn more about the features discussed here and in our previous two site clinic posts, check out our SEO Report Card and SEO Starter Guide. This blog post wraps up our website clinic for non-profits. We send our warmest regards to all the great non-profit causes you are working on, and thanks to everyone who took the time to submit their sites and read our posts! As the holiday season comes around, we all have a bit of housekeeping to do. This is precisely why we wanted to focus the second post in our site clinic series on cleaning up your source code. Throughout our analysis of submitted non-profit websites, we noticed some confusion about what HTML markup, or tags, to use where, and what content to place within them, both of which could have significant impact on users and how your website looks on the search results page. If you don’t specify a <title> tag, then Google will try to create a title for you. You can probably do better than our best guess, so go for it: take control of your <title> tag! It’s a simple fix that can make a huge difference. Using specific <title> tags for your deeper URLs is also important, and we’ll address that in our next site clinic post. If description meta tags are absent or not relevant, a snippet will be chosen from the page’s content automatically. If you’re lucky and have a good snippet auto-selected, keep in mind that search engines vary in the way that they select snippets, so it’s better to keep things consistent and relevant by writing a solid description meta tag. Google has some great resources to further address best practices in your source code. For starters, you can use our HTML Suggestion Tool in Webmaster Tools. Also, it’s always a good practice to make your site accessible to all viewers. , an updated version of the Additional Services Program, aimed at better serving grantees involved in this segment of the Google Grants program. Grantspro offers an additional $30,000 per month (for a total of $40,000 per month) to grantees who meet certain requirements. The updated requirements are detailed on our website. How is Grantspro different from Additional Services? Grantspros are not required to submit quarterly analytics reports as they were in the Additional Services program. All analytics data is requested on the Annual Survey, which was sent to all grantees this year on November 1, 2010, and is sent annually in Q4. New applicants to Grantspro will first participate in a Grantspro test aimed at setting expectations about the demands of managing your account at the increased budget and requirement levels. Grantspro’s required spend level is higher, but the required period of time for this spend is shorter, to allow for non-profits who experience seasonality and fluctuations in traffic patterns. What if I’m currently enrolled in Additional Services? You’re all set. Just continue to submit your Annual Survey results yearly and follow the Active Account Management requirements to remain active as a Grantspro. You don’t need to reapply for the program or resubmit analytics data (you covered it with your Annual Survey this year). Additional FAQs about Grantspro can be found in our Help Center. If you’d like to continue discussing the launch of Grantspro, we invite you to start up a conversation in our Grantspro discussion forum. For me, celebrating the holidays is both about spending time with family, and taking the time to help others. Along with bundling up by the fire and sipping some hot cocoa, the holidays mean taking the time to do something good. If you want to send directions to a volunteer opportunity, or just want to brighten a friend’s day, we’ve designed online holiday greeting cards featuring Google Maps. In addition to choosing from ten holiday covers and adding a personal message, you can include specific directions, a Street View image, or a favorite place on the inside of the card. For example, I can send this card with the map designed as a holiday present, to remind friends about the gift of giving, and share directions to volunteer at their local food bank to help feed thousands of people over the holidays. Thanks to Christoff Niemann for inspiration. With all of the holiday decorations around San Francisco, I enjoy walking or biking around and taking in the sights. I can send this card to my friends to get them thinking about environmentally-friendly alternate modes of transportation, and include biking directions to an upcoming dinner (after all, snow is a rare sight in San Francisco). Finally, doing good can also mean just brightening someone’s day, so I will send this cheerful holiday greeting to my big brother in Colorado to let him know that I’m looking forward to seeing him over the holidays. You too can share the holiday spirit with these online cards, so start sending them at googlemapsholidays.appspot.com. Happy holidays! a global survey about how they use their Google Grant and the features they’d like to see in the future. The responses took on a number of themes and we’re happy to be able to share some of the best practices with you to put into place in your organization. Grantees have lots of strategies for building and maintaining strong keyword lists. One organization uses brochures from industry conferences (including conferences that they themselves host) to add relevant industry terms to their keyword list. A grantee featured on our testimonials page recommends using keyword insertion, as they’re seeing higher click-through rates immediately after implementing this feature. Finally, one grantee suggests that a good way to optimize your keywords is to adjust and modify them based on CTRs found in your AdWords account. Determine a CTR threshold (anything higher than 1% is a good start) and then modify any terms that fall below that threshold. Active account management, while more time consuming than creating set-it and forget-it campaigns, came up repeatedly in the survey responses and was credited with everything from increasing CTRs to being able to reach high quality leads through AdWords grants. More than a few grantees say they’ve identified a single person in their organization to dedicate to managing their AdWords account (even if that person works on other projects and is a volunteer) and some are using a set schedule to organize updates and management tasks for this individual. Grantees shared great insight about how they’re making the most of opportunities available to them through a variety of outlets, beyond that of just Google Grants. Many of you are using Google Checkout with great success and sharing that success with your founders and executive boards to get buy-in for continued marketing initiatives. Some of you, faced with competitive markets, have even gotten budgets allocated for paid AdWords campaigns so that you can use ads on the Display Network, options not available through Google Grants. Also exciting are those of you who are using the relevant suggestions that show up in your Opportunities tab in AdWords to try new tactics with your campaigns. Some of the feedback we got will be answered in upcoming blog posts, so stay tuned to our blog (or add our RSS feed to your Reader) for posts covering some of the most common requests and feedback about Grants budget restrictions, managing the $1 Max CPC cap, support options, ad approvals, SEO/SEM information, measuring success and managing AdWords with time constraints. All in all, we’re inspired by your savvy and dedication to success with AdWords and Google Grants. We hope you’ll visit our Discussion Forum to continue sharing your best practices with other grantees and submit your testimonials so that we can all learn from your experiences. Google Grantees recently responded to a global survey about how they use their Google Grant and the features they’d like to see in the future. The responses took on a number of themes and we’re happy to be able to share some of the best practices with you to put into place in your organization. Three years ago, the vlogbrothers Hank and John kick started an initiative called Project for Awesome, which called for YouTube users across the world to “take over YouTube” by creating videos that promote their favorite charities and causes. Project for Awesome built on its initial success again in 2008, resulting in thousands of user submissions and a homepage takeover, as people around YouTube took to the web to make the world more awesome for the holidays. Hank and John upped the ante last year by increasing community participation, making Project for Awesome (#p4a) one of the top trending topics on Twitter in December 2009. Project for Awesome 2010 officially begins on December 17 at 12:01 AM, when users are encouraged to upload videos for their favorite causes and charities. To celebrate the end of Project for Awesome on Saturday, December 18, join us for a live show on YouTube at www.youtube.com/p4a. We’re teaming up with the vlogbrothers, some of YouTube’s biggest stars like daneboe of Annoying Orange, Michelle Phan, Phil DeFranco, Michael Buckley, Shay Carl and iJustine, and prominent nonprofit organizations to broadcast a four hour live show from 4-8 pm PST. The live show invloves a wide array of entertainment: from musical performances to user-generated games to special moments that only YouTube can bring. Moreover, this year, Project for Awesome will focus on raising awareness and encouraging action in four areas: innovation in education, health, poverty and children’s wish-giving. Representatives from eight charities will be in attendance at this next-generation telethon: including Beatbullying, DonorsChoose, Make A Wish Foundation, Marine Toys For Tots Foundation, Open University, Partners In Health, Save The Children and Water.org. And, as in past years, we’re encouraging the global YouTube community to create videos on behalf on these charities and the causes you’re most passionate about. Post them to your site, tweet them, put them on Facebook - do whatever you can to spread the awesome this holiday season. We look forward to seeing what you create and hope you join us online this Saturday for a ton of awesomeness! The AdWords Keyword Tool has some exciting new features! Please check out the new features below. You can also add stars to keywords that you would like to save while you are still searching for new keyword ideas. You can review your starred keywords in the ‘Stars’ panel on the left side of the tool. The updated Keyword Tool also allows you to view your selected keywords in text form, so that you can easily edit them and paste them in a spreadsheet or AdWords Editor. Simply select the ‘View as text’ button! We hope you take advantage of these new features. Please provide feedback here so we can continue to make improvements. When Should I Make Changes In My Account? that your ads obtain, but rather take a look at the number of conversions that you are getting. Let your new campaign run for some time so that it generates significant data for you to evaluate and so that its performance stabilizes. After 4 - 6 weeks, monitor the results that you have obtained from your ads and keywords. Use this information to optimize your account and improve your keywords like shown in this short video. Decrease the CPC of the bad performing keywords, increase it for the keywords that are working well and delete those that are not generating valuable traffic. Do you have a list of negative keywords? If you don’t, you can analyze what words are triggering your ads and include those that are not related to your organization as negative keywords. If you already have a list of negative keywords, review and add to it. We also recommend evaluating your ad text regularly. Add variations that are similar to the ads that are working well, modify the ads that are performing less well and delete the poorly performing ads. After introducing and saving the changes, let the campaign run for a reasonable amount of time and review the results again! Molding your campaign is a constant activity and can help you meet your campaign goals. For more information on optimizing your campaigns please check out the AdWords Optimization Center. After thoroughly following the required steps to create your Google Grants account that is going to aid the hard work of your organization, and after investing time and effort in getting to know the different pages, tabs and terms it encloses, it is important that you don’t abandon it. Many organizations make the mistake of thinking that once created, their AdWords account should be left to work on its own. However, it is fundamental that you monitor the results that the account is generating for you so that you can adapt it as frequently as it is necessary. Do not base your decisions for introducing change on the amount of clicks that your ads obtain, but rather take a look at the number of conversions that you are getting. To reach more donors: Use these Google Docs templates to attract and engage supporters with newsletters, event invitations, and more. To improve operations: Try out this project planning template to save time and better organize your staff and volunteers. To raise awareness: Check out Google Fusion Tables to show impact or add a custom map to your website. For more ideas of how Google’s tools can help expand your impact and to view cases studies from fellow nonprofits, visit the Google for Nonprofits website. Share your stories by telling us how Google products have helped your organization. The holidays are a hectic time for all of us, especially nonprofit organizations that rely on the seasonal spirit of giving to sustain operations throughout the year. As you move into this busy time, we thought you might like a few tips on how using Google Apps and other tools can help you make a change and save some time this holiday season. This UK agency shares a client’s case study that covers enrolling in the Google Grants program, the initial performance results and the status of their account to date. Social Media Examiner shares a list of ways non-profits can use social media engage their audience. Sparked.com is an online micro-volunteering site that pairs up non-profit organizations with professionals in the marketing, creative design, strategy and other media backgrounds to accomplish a variety of tasks online fast and free. What is a Networked Nonprofit? Beth Kanter talks about her new book, The Networked Nonprofit, at a recent meet up with folks in the Voluntary Sector Network. This month’s resource round-up includes an agency case study on a client’s experience with the Grants program, a list of social media tips, a resource for finding volunteers for a variety of your org’s projects and a recap of a recent event at which Beth Kanter spoke about networked nonprofits. We offer grantees educational resources such as the Beginner's Guide and the Google Grants Help Center. We recommend referring to these resources whenever you have questions, but also wanted to share some frequently asked questions that we have been receiving from prospective grantees and newbies. 1. Does our organization already have to be established and with a developed reputation in order to be eligible for Google Grants? No. Do not hesitate to make full use of this program just because your organization is new. Although your organization's success and reputation are of great value, we also support newly established organizations with a passion for charity. However, please be aware that we ask your organization to have a charity status in your country. (In the U.S., for example, 501(c)(3) status is required.) You can refer to our program guidelines for detailed information around eligibility requirements. 2. We do not have in-depth knowledge of Google AdWords. Should we hire an advertising agency to manage our account? AdWords is developed to be a self-service product, and with our online resources you should be able to get started comfortably. As a participant in the Google Grants program, we require you to be responsive to our email requests and log in to your account monthly (if not more often) to review campaign performance and improve your account, tasks that do not require you to hire an agency. 3. Within our organization we have multiple projects with different goals. Can we have multiple AdWords accounts to manage these projects independently? At this time, each organization may only have a single AdWords account. However, your organization can have multiple campaigns within your account, with each campaign focused on a distinct goal or project. 4. Can Google sponsor events organized by our organization, or other aspects of our business? Google Grants is a program specifically designed to support charitable organizations through providing a free Google AdWords account and does not involve funding other aspects of these organizations. advertisers, have to be particularly focused on solid ad text as they are the main ingredient to make their campaign work. These ads must also comply with AdWords policies. Check out some ad best practices and policies below! First, if you want to modify an ad we recommend creating a new one and leaving the old one running until the new one is approved. This will ensure that you have an ad running at all times because every time you submit new ads or make changes to existing ads, they are automatically submitted to a new review. Secondly, it is important to be mindful of our advertising policies. Please take note of our specific ad guidelines to be sure that your ad complies and will be published. See below for some of our most important policies when creating an ad. • Ad titles are limited to 25 characters. • The two description lines and display URL are limited to 35 characters each. • The third line must fit completely within the character limit and cannot lead into the display URL. Remember to be clear in the way you communicate your message, including all the relevant information and details regarding your organization in order to convey your mission effectively. Avoid common editorial mistakes and do not use inappropriate capitalization or non-standard grammar, spelling, spacing, symbols or punctuation. Check out the AdWords Help Center for examples of the proper use of ad text. All ads must comply with our URL policies that are listed below. For more details on these policies please refer to this Help Center article. • Your destination URL must work properly across all web browsers and the landing page for your ad cannot be under construction. • Your display URL, that is the website that is shown to customers with your ad, must accurately reflect the URL of the website that you're advertising. It should match the domain of your landing page so that users know which site they will be taken to when they click your ad. Our policies are updated often so please make sure to check this new policy section of the AdWords Help Center on a regular basis. Now that you have an overview of the main elements to take into account when writing the ads for your Google Grants campaign, remember to be creative and add your personal touch to be sure you communicate the desired message in the most effective way. One of the key principles of any successful campaign is for it to be based on effective, good quality ads. AdWords advertisers, as well as Google Grants advertisers, have to be particularly focused on solid ad text as they are the main ingredient to make their campaign work. These ads must also comply with AdWords policies. Check out some ad best practices and policies below! in 2000, just a few years after Larry and Sergey founded the company. In just 10 years, millions of advertisers have begun using the online advertising platform in over 200 countries and representing over 40 languages. To celebrate AdWords’ 10th birthday we want to share your stories and successes with the world. Please join us by creating a short (3 minutes or less) YouTube video or written piece (750 characters or less) telling us your story: who you are, what your organization is about, how it has grown and the role AdWords has played along the way. To learn more about how to share your AdWords story (including submission instructions and sample videos) please visit the AdWords 10 YouTube channel. We will post stories on the official Google AdWords blog in December, so be sure to check back! Google AdWords launched in 2000, just a few years after Larry and Sergey founded the company. In just 10 years, millions of advertisers have begun using the online advertising platform in over 200 countries and representing over 40 languages. Monitoring your AdWords account performance allows you to make informed optimization decisions and is an important part of managing a successful account. 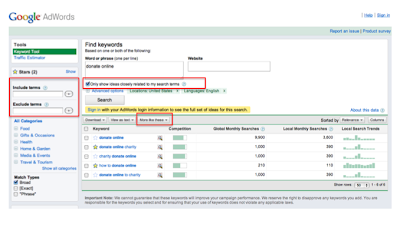 AdWords provides many easy-to-use free tools that Grantees should take advantage of on a regular basis. Check out a few tips on tracking your account performance below. You can view your account statistics at the campaign, ad group and keyword levels. These metrics are all good indicators of how well your campaign is performing. Account statistics include clicks, impressions, CTR (clickthrough rate), average CPC (cost-per-click) and average position. An easy way to identify changes in your account is to create custom alerts for metrics you want to measure. Once you create an alert and specify the parameters of what you want to monitor, you will be automatically notified when certain changes occur within your campaigns and ad groups. 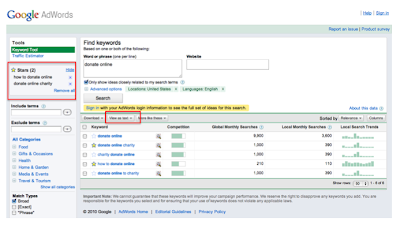 Learn more about creating custom alerts at the AdWords Help Center. You can create reports that tell you exactly what statistics you want to know at the campaign, ad group and keyword level. These reports are available through the Report Center and the Campaigns tab. You can view the reports directly in your account or download them in a variety of common formats. You also have the ability to schedule reports to be sent to you via email automatically. Google Analytics is a free tool that can help you identify how people found your site, how they explored it and how you can enhance visitor experience. For more details on how to use Google Analytics please check out our past blog post. For more optimization tips and strategies please visit the AdWords Optimization Center.